There has been solid research for decades about Tylenol and its detrimental effects on the human body. New research confirms this and more…. Tylenol is generally classified as being safe for pregnant women and developing children. But a closer look at actual science tells a much different story. 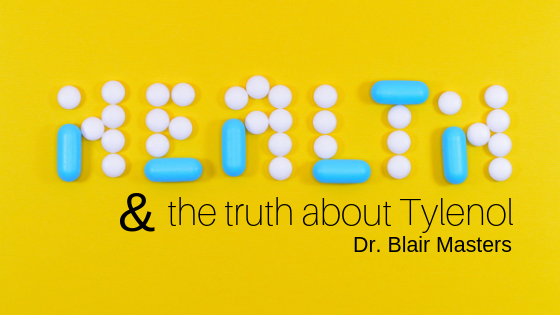 We as a society have long been told using seemingly scientific information about the safety and effectiveness of Tylenol, but there exists solid evidence to the contrary. This new research suggests that this popular pain drug is particularly harmful for children. These damaging effects can also be passed down from mother to child during pregnancy. Because Tylenol use has also been linked to attention deficit hyperactivity disorder (ADHD) and autism, two behavioral problems that are more prominent in males than in females, this could explain the gender bias that also exists with regards to Tylenol-induced brain damage. Long-term safety studies prove that Tylenol use is not worth the risk! In other words, scientific studies that aren’t conducted by drug manufacturers, and that actually look at the long-term impacts of drug use, bring to light some serious problems with Tylenol use that aren’t being properly addressed at the public health level. Adults are also harmed by Tylenol, damages brain chemistry and contributes to antisocial behavior. Otherwise healthy adults are also at risk when using Tylenol. Studies show that the drug directly interferes with the way people think. Tylenol use is also associated with antisocial behavior, impairing a user’s ability to communicate and interact with other people in a normal healthy way. Keep in mind that the neurotoxic effects of Tylenol have been only very lightly investigated, despite the damage that is known to result from the drug’s use. And most doctors who support the use of Tylenol are probably just misinformed as to the full extent of its harmful impacts. So why aren’t our regulatory and safety agencies publishing the latest research on the subject in the interest of public safety? As is usually the case, government bodies like the Food and Drug Administration (FDA) are dragging their feet–obstructing the process of not only compiling this research but also coordinating with other agencies to get it out to the public. “Many online sources support the view that acetaminophen can be very dangerous to the developing brain,” says Dr. Parker. Combine the above information with the fact that Tylenol only offers temporary relief from pain and covers up the problem for little while and you can only come to one conclusion. That taking this drug is just not worth it. The answer, as proven and taught for decades, is to use natural solutions when possible. Omega 3 fatty acids, (Fish Oil) is one of the most powerful natural anti-inflammatory products that you can take. And it also is supportive to the brain of development. This is found in both the fetal brain as well as the brains of infants, children and adults. Taking Omega 3 Fish Oil instead of medications like Tylenol, when possible, is what we recommend. It is not as fast acting as Tylenol but once you get your Omega 3’s and 6’s balanced properly, you will not believe how much better you feel. Call us at (479) 443-0800 or click here to help you get started.